Summer is officially here!! While we do look forward to longer days and sashaying around in those summery clothes, we dread one thing – the weight that we have put on during the dark, dreary days of winters. We over indulged and we had all the reason in the world to do that- wedding season, then Christmas and New Year Festivities. We preferred heavier tasteful foods and became careless with our workout routine as well. The winter comfort foods in gajar ka halwa, mac and cheese further takes us away from our weight loss ambitions. But that doesn’t mean you go on sulking about the extra set of pounds around your belly and do nothing about it. While it is true, that our metabolism in winters might take a hit (as defence mechanism to prepare your body for the harsh temperatures), but if you are determined you can shed those extra pounds easily. I am going to help you with 9 tips to get rid of the winter weight. Morning Routine—Never start your day with caffeine. Eat fruits and nuts. Don’t combine tea or coffee with nuts. Get a reformed Diet Plan – Do some online research or visit a dietician and get yourself a balanced diet plan. Don’t be too hard on yourself – A weight loss plan that is too strict is bound to backfire. Losing weight doesn’t mean you have to give up all of your favorite foods or treats. But you do need to have a good plan in place to eat mostly healthy meals and deal with temptations. Consistent Workouts – Try to be consistent with your workouts. Even if it’s brisk walk or spending an hour gardening. If you don’t feel like going to the gym, go for a run instead. But workout! Add variety to your Workout -Working out doesn’t have to feel like work. Be creative. Mix it up. Take up a new sport. Swim, hike, run. look for fun workouts like Zumba, Masala Bhangra or even spinning classes. Ditch the elevator and take the stairs. Aim for 60 minutes of activity, most days. Rest and recovery is just as important as exercise itself. Don’t Drink Your Calories: Avoid aerated drinks, milkshakes, sweetened coffee, packaged fruit juices and other fizzy drinks. 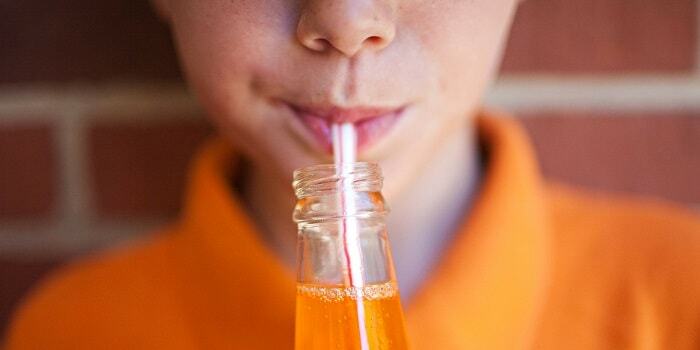 The sugar content in these drinks is extremely high and hence they are unhealthy. Get By with a Little Support: Creating a weight loss plan and sticking to it requires strength, knowledge, fortitude… and often… a little help from others. A little support from a friend or a family member goes a long way. Join activities or take diet plans along with them. You can even join a support group, online communities and even use apps. Get smart while grocery shopping: Read labels, calorie count and plan your meals and snacks. Read up and look for substitutes for high calorie ingredients. Look for Low Calorie Recipes: You can swap out a high-calorie treat for a lower-calorie satisfying alternative. For example, if you love indulging in brownies and cakes, look for low recipe for the same. That way, you can eat what you want and still consume less calories. Celebrate your success – Every time you reach a small goal, celebrate your progress. Reward yourself by going to get a massage, or buy yourself a new pair of running shoes. Your body will love you for it. In case you follow these tips, do share your results with us. These tips will be helpful to get rid of the winter weight. Thanks for sharing this amazing post.